Make sure you read to the bottom… An eye opener! Last month, the Senate Budget Committee reports that in fiscal year 2012, between food stamps, housing support, child care,Medicaid and other benefits, the average U.S. Household below the poverty line received $168.00 a day in government support. Now particularly check the last set of statistics!! The percentage of each past president’s cabinet who had worked in the private business sector…prior to their appointment to the cabinet. You know what the private business sector is: a real-life business…not a government job. This helps explain the bias, if not the incompetence, of this current administration: ONLY 8% of them…have ever worked in private business! That’s right! Only eight percent—the least, by far, of the last 19 presidents! And these people are trying to tell our corporations how to run their business? How can the president of a major nation and society, the one with the most successful economic system in world history, stand and talk about business when he’s never worked for one? Or about jobs when he has never really had one? And, when it’s the same for 92% of his senior staff and closest advisers? Pass this on, because we’ll NEVER see these facts…in the main stream media. This is critical information that will affect everyone well into the foreseeable future. You have only one choice that can make a difference. More liberalism / socialism. More ‘Political Correctness’. The America that some of us remember . . . the America we should be. Who ever wrote this piece is brilliant. I have always wondered why politicians are so enamored with the unemployment rate. After reading this bit I figure it is because a lower number is easier to defend than a higher number. In my books the real number is the percentage of people out of work. After all, they were working before the economy crashed so why give up counting them? ABBOTT: Absolutely it goes down. That’s how it gets to 5.6%. Otherwise it would be 23%.COSTELLO: Wait, I got a question for you. That means there are two ways to bring down the unemployment number? ABBOTT: Now you’re thinking like a Democrat. ABBOTT: Now you’re thinking like Hillary.. So many things have happened while I slaved in Santa’s workshop. I can’t believe it all. The new furor about gun control really irks me. I will give up my gun when Hollywood refuses to make any movies with stories that involve guns. I do think the U.S. should outlaw crazies. I’m sure our Progressive Liberal élite think tanks can come up with a suitable test to decide which of us is inclined to be a crazy who shoots innocent children and conservative people. Once they have that test solidified, they can begin putting it to use by gassing everyone who tests positive for crazy. Of course guns are not the only things that kill school kids while they are in school. Back in the nineteen-fifties a school fire at Our Lady of the Angels Catholic school in Chicago killed ninety-two kids. These kids died a very painful slow death not a quick sudden one. Yes, we should ban fire. There shouldn’t be any open flame allowed anywhere within a block of a school building. That means no furnaces to keep kids warm in winter. They can use electric heat instead. Of course we all know that electrical problems cause fires too. Yep, lets ban electricity too. The U.S. government is also responsible for promoting crazy. Let’s talk about Fast and Furious. The idea of shipping guns to Mexico to find crazies across the border is really a gem. How about Benghazi-gate. Shipping guns to the Libyans resulted in them using these U.S. provided weapons to kill our embassy ambassador and three others. During the Russian occupation of Afghanistan the U.S. fed guns to the Afghan rebels who now use them against us. The list goes on and on. Instead of stopping the problem at its root-cause we attack the Constitution. The Second Amendment provides we the Sheeple with the ability to revolt against a government gone wild. The government knows this and fears the idea. That is exactly what the Founders intended with the right. The problem is that we the Sheeple haven’t figured out how to revolt. We are way too comfortable watching violent TV shows and movies that promote gun crime, or play our video games that fill our sub conscious minds with the ease of solving problems with the push of a button. I don’t know what the answer is to keeping crazies from killing with guns, but I do know that collecting all the guns in America is not the solution. If it were, we must incarcerate smokers because cigarettes kill far more people than guns. Cancer is also another killer, i.e. after heart attacks. Maybe a law banning the consumption of all fatty foods is in order. Yeah shut down MacDonalds, Burger King, Wendys. Taco Bell, Culvers, What a Burger, In and Out Burger, and every pizza joint in the country. That move would kill another several million jobs and cause more of us to go on welfare. Another killer is the automobile. I lay awake at night fearing a middle of night attack by my faithful Death Star parked in the garage. I say ban all cars except the President’s. He needs to ride in a bullet-proof, bomb-proof vehicle to stay safe. People argue “you can’t do that, how will we get to work?” Tough, if you still have a job, try riding a bicycle to work, or ride a bus. The Greens would love that. Think of all the carbon load you would cut by walking instead of driving that killer car. A stationary car cannot kill anyone, unless rigged to blow up like a bomb. A stationary gun cannot kill anyone. The only way these instruments of destruction can kill is if there is a crazy using it. When it comes to cars, I argue that we are all guilty of some form of crazy. We have laws to punish us if we speed, run red-lights, drink, and drive, but we still do it. The problem is we all feel in control and do it anyway. Legislating to prevent crazies from committing a crime is as crazy as the crazy himself. 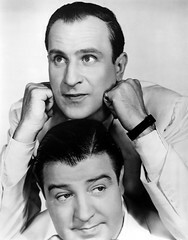 As a kid I enjoyed the antics of a very famous duo-comedy force called Abbott and Costello. One was a straight man for the other. They had some classic side splitting skits. One of them called “Who’s on First” is genius comedy. The skit below is modeled after “Who’s On First.” This version is even funnier than the original. Of course, if you are either unemployed or out of work you may not see the humor. COSTELLO: WAIT A MINUTE. Is it 9% or16%? ABBOTT: No, Obama said you can’t count the “Out of Work” as the unemployed. ABBOTT: Someone who doesn’t look for work can’t be counted with those who look for work. unemployment roles that would count as less unemployment? Unemployment would go down. Absolutely! unemployment just goes down because you don’t look for work? gets it to 9%. Otherwise it would be 16%. He doesn’t want you to read about 16% unemployment. for you. That means there are two ways to bring down the unemployment number? Unemployment can go down if someone gets a job? Thanks Diane for a great laugh.